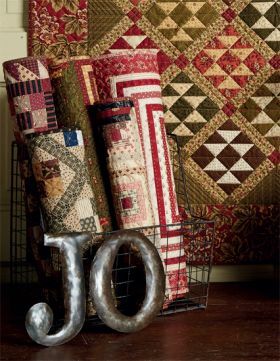 Jo has the greatest hint on making seam lumps disappear. 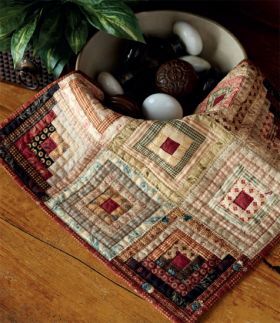 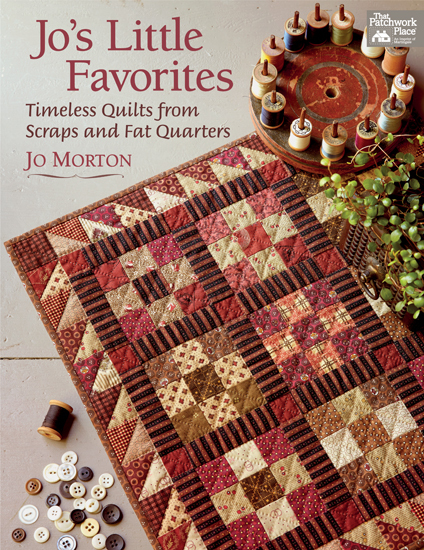 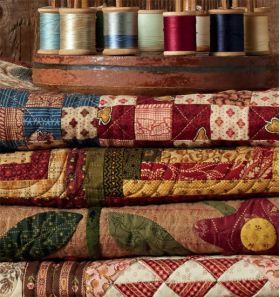 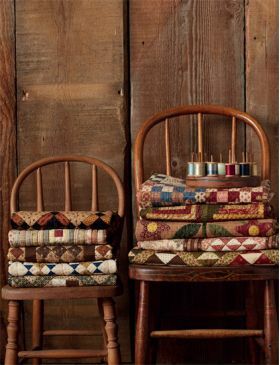 A fascinating book of thirteen small classic quilts made with reproduction fabric, easy to begin and easier to complete. 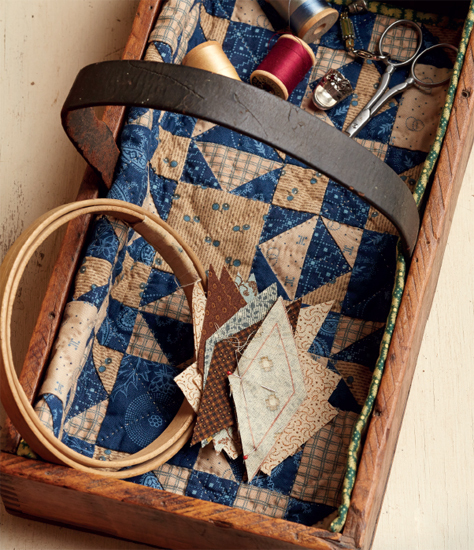 Follow the helpful tips on choosing and using fabric and expert techniques for accurate piecing. 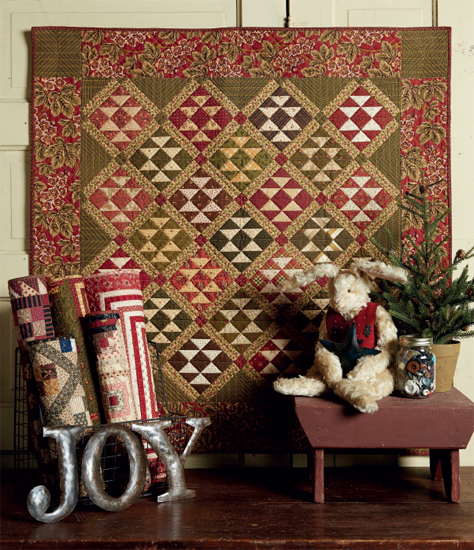 With the exception of one quilt, all are less than 36" square, the smallest being 12-1/2" square which is the delightful "Indigo Stars Doll Quilt". 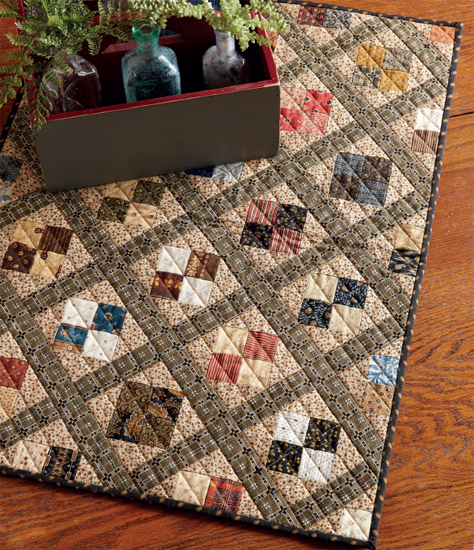 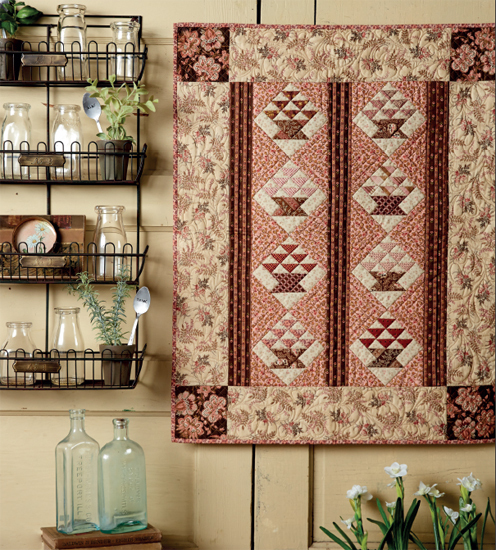 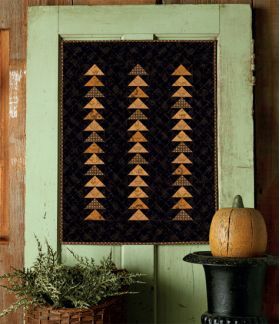 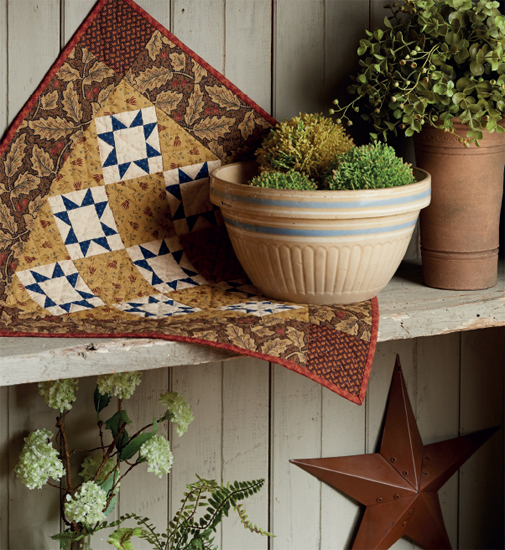 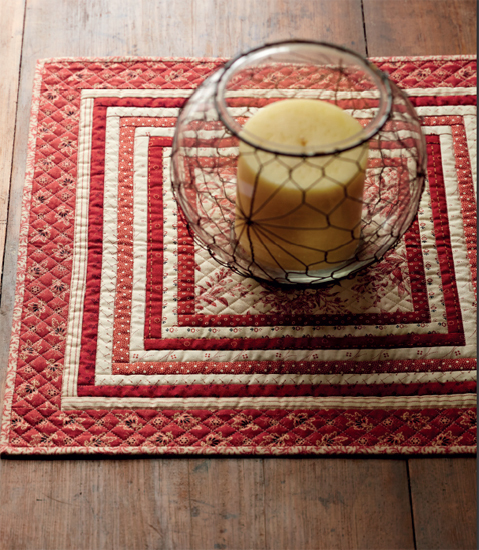 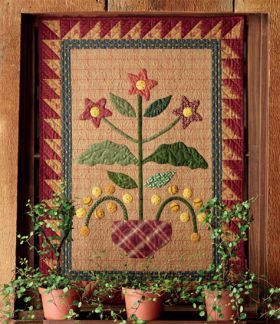 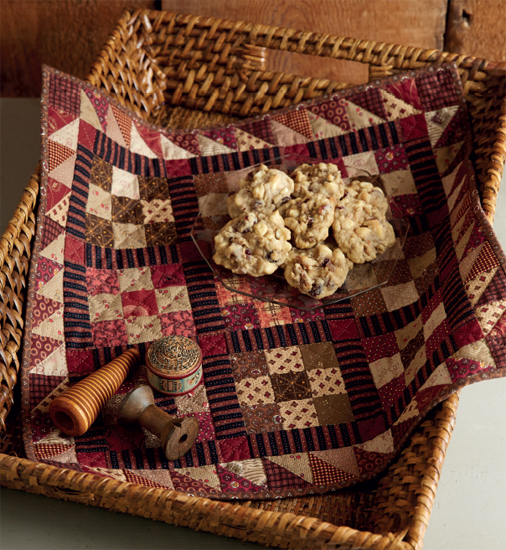 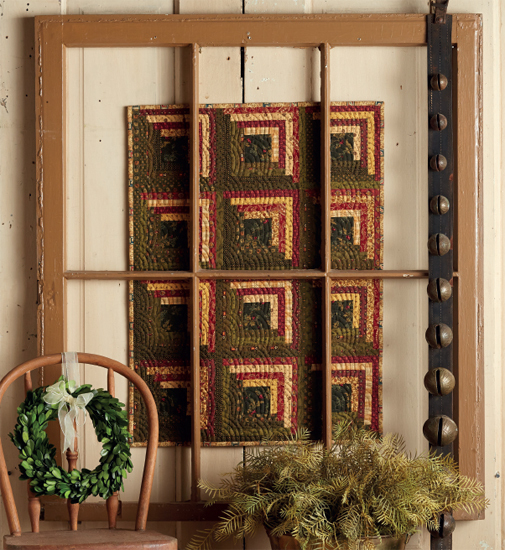 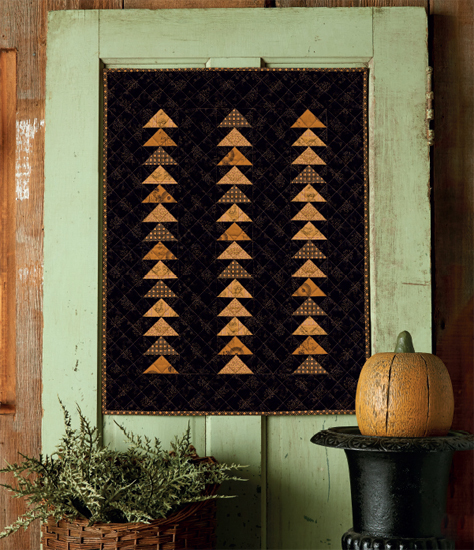 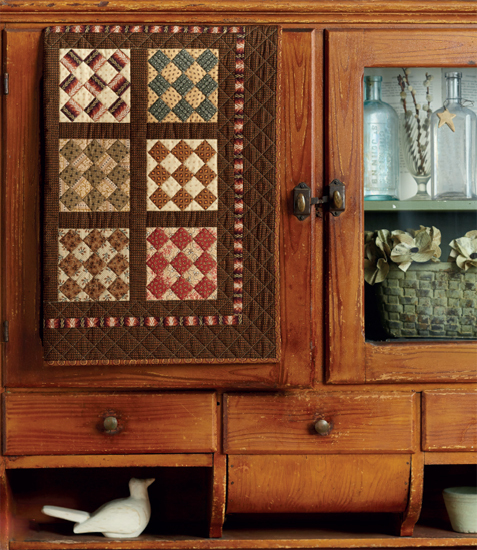 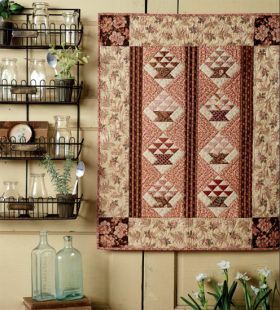 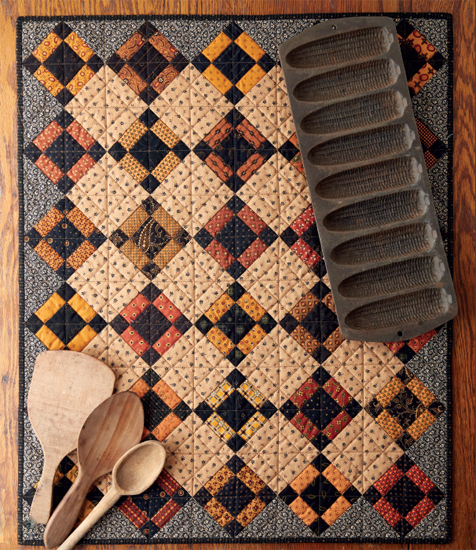 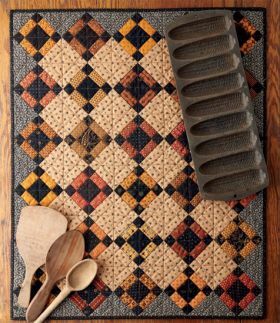 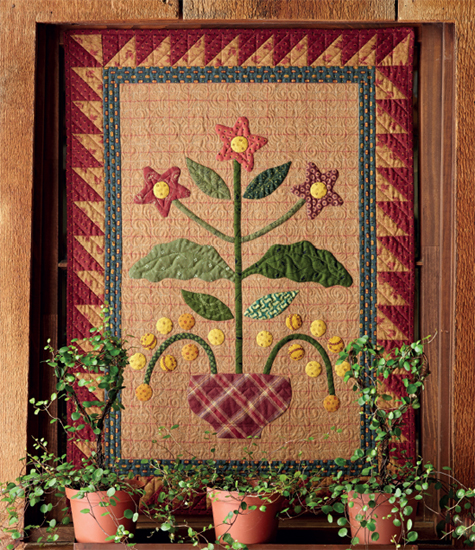 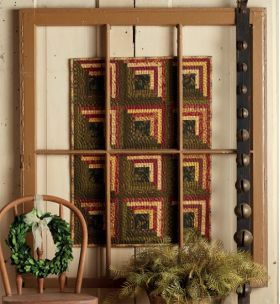 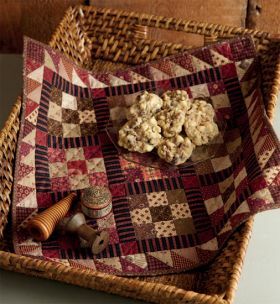 You may wish to make "Night Flight", "Sadie's Quilt" or the pretty "Star Flowers and Berries" wall hanging. 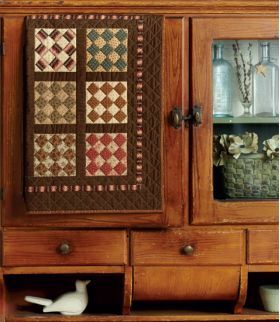 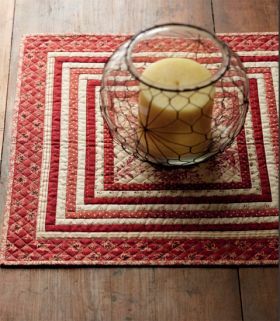 Which ever one you choose, the instructions, diagrams, techniques and tips are easy to follow and offer countless ways to decorate your home.